No bathroom is complete without a sink or lavatory. These additions are crucial to promote cleanliness. Depending on where the sinks and lavatories will go, it’s necessary to choose the right materials for the job. At Stainless AD, we understand the needs of the client. Our products are designed with maximum use and efficiency in mind. Unlike other materials, stainless steel is much sturdier and easier to maintain. This makes it a great option for high-traffic areas and buildings such as recreation centers and hospitals. 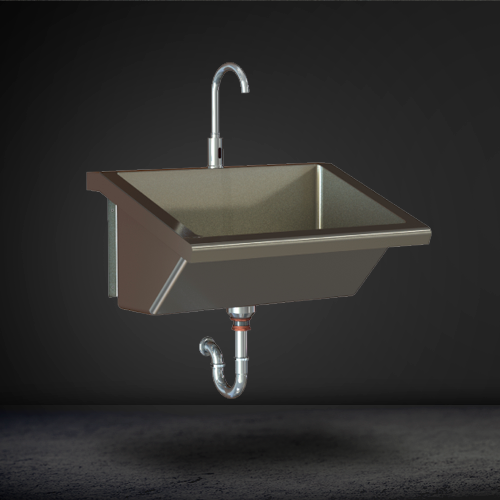 Stainless AD offers a wide variety of stainless steel sinks and lavatories to clients in North America. When you look at a stainless steel sink or lavatory, the first detail you’ll notice is just how clean the surface is. This is where stainless steel gets its name. Due to its hard metallic surface, bacteria is unable to adhere and survive. By properly maintaining and cleaning the surface, it will be able to easily resist bacteria and mold. Best of all, it’s incredibly easy to keep stainless steel surfaces clean. Stainless steel sinks and lavatories are made from sturdy materials so they won’t suffer from cracks or chips. On top of that, stainless steel can withstand heavy weights and high temperatures. When you choose our products, your facility will boast a clean, uniform look that will never falter. Other materials simply can’t boast the many benefits of stainless steel. High-traffic restrooms need to be as clean as possible. Stainless steel applications make it easy to achieve this goal. Not only can other surfaces house germs and bacteria, they are much more difficult to keep clean. 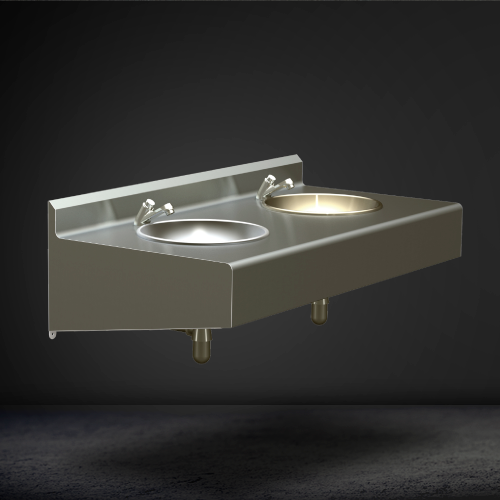 Our stainless steel sinks and lavatories will be as clean and bacteria-free as they look. This is crucial to maintain a restroom. Our products make it easy for your facility’s environment to be fresh, resilient, and healthy. 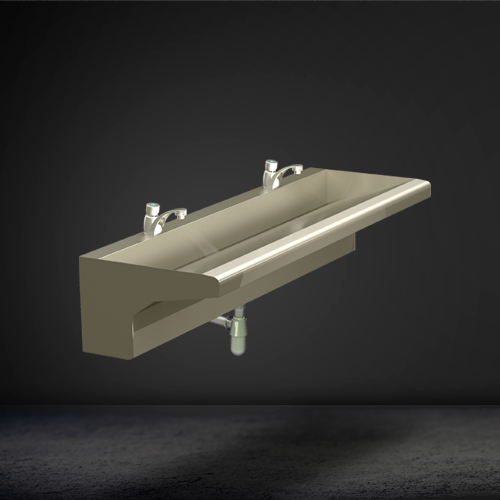 At Stainless AD, we offer sinks and lavatories to accessorize the restrooms of North America. Our lavatories come in many shapes and sizes, from single-sink to four-sink lavatory options. 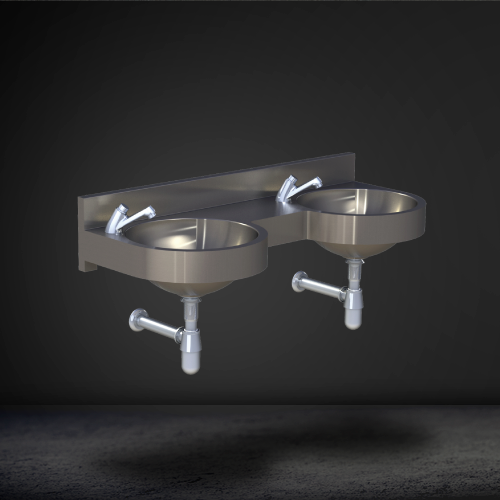 We also offer surgeon scrub sinks made from stainless steel. 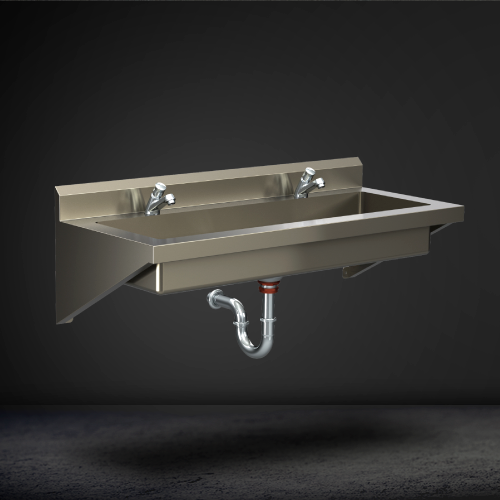 Whether you need a simple sink or an all-encompassing lavatory, we’re the team to choose. Make sure those who use your facility’s restrooms have a germ-free, aesthetically pleasing place in which to wash their hands.